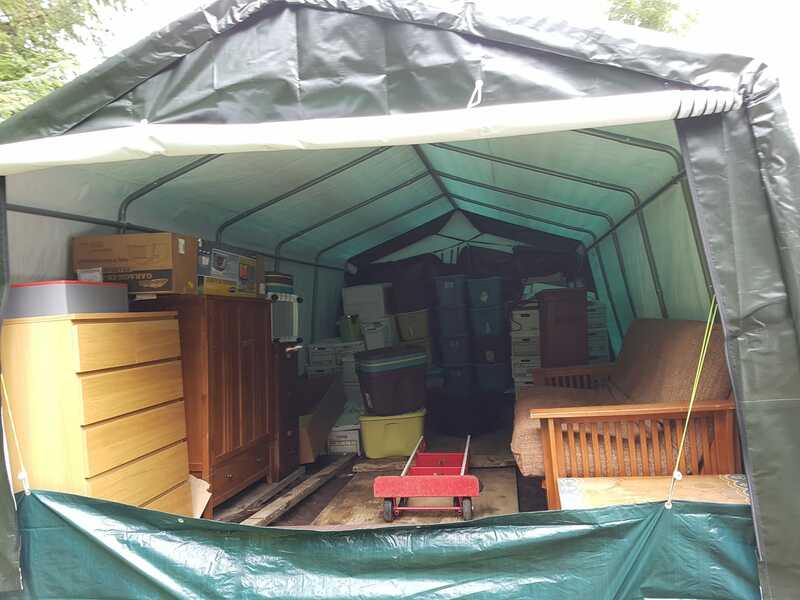 I broke down the temporary tarp arrangement over all my stuff (meaning, the stuff he didn't want in his house – about half of what I shipped here). It was time to free up Arthur's driveway and start using my new storage unit. Which is a glorified tent. 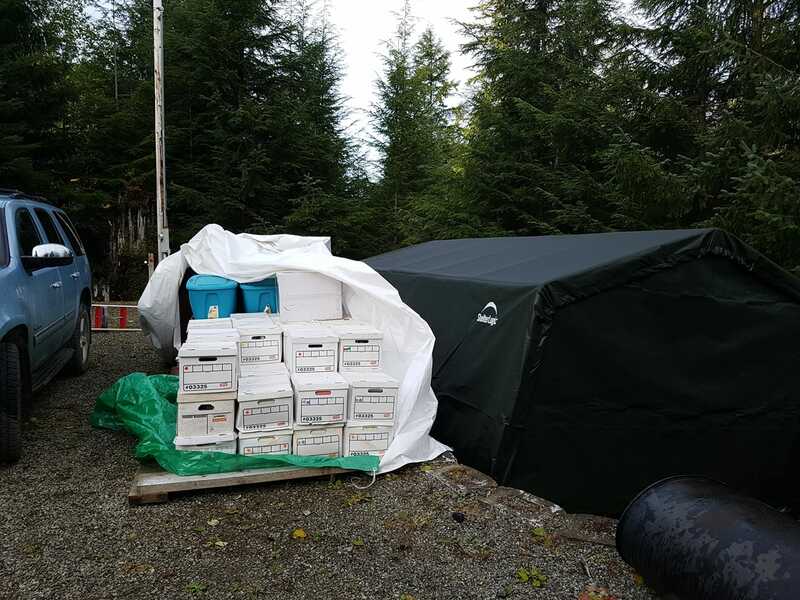 Furnished Studio: premium plastic tarp construction, dock access, moss garden adjacent, slightly tilted, no electricity or plumbing – classic " Alaskan granny flat".